This villa has a wonderful 8 m Infinity-edge pool and an expansive decking where you can enjoy of the panoramic views of the sea and jungle, 2 Expansive living/lounge areas with sofas and dining table where you can relax, indoor and outdoor sound system, 3 master bedrooms with double beds, air conditioned with en-suite bathrooms. Every detail has been added for your comfort, there is complimentary wifi. All the bedrooms have dvd and cable tv with over 70 channels. We offer free transfers from Samui airport to our guests. The villa is located between Choeng Mon and Chaweng beach. 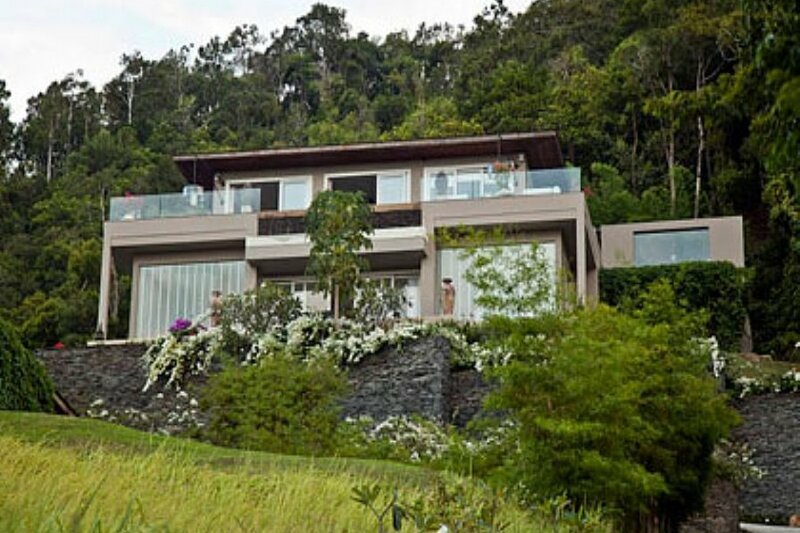 The villa is on a secluded hillside about 10 min drive from Chaweng or Choeng Mon, 10 min from the Airport, 15 min from Bophut Fisherman's village and 25 min drive away from the Santiburi Golf and Country Club. Chaweng offers all the allure of a truly vibrant nightlife. There are restaurants, discotheques , cocktail lounges and caberets . The bay at Choeng Mon is protected and good for swimming, Ko Fan Noi sits just offshore, and can be reached by foot at low tide, making for interesting exploration with children. Down at the beach keep at eye out for a well known local vendor Mr Coppi, he can be seen from about 11:00 each day, setting up his beach kitchen, and drawing the crowds for his grilled buttered corn on the cob, grilled chicken with sticky rice and fresh fruit. The rates do not include 10% service charge and 7% tax.